The best pizza and subs on St. George Island! 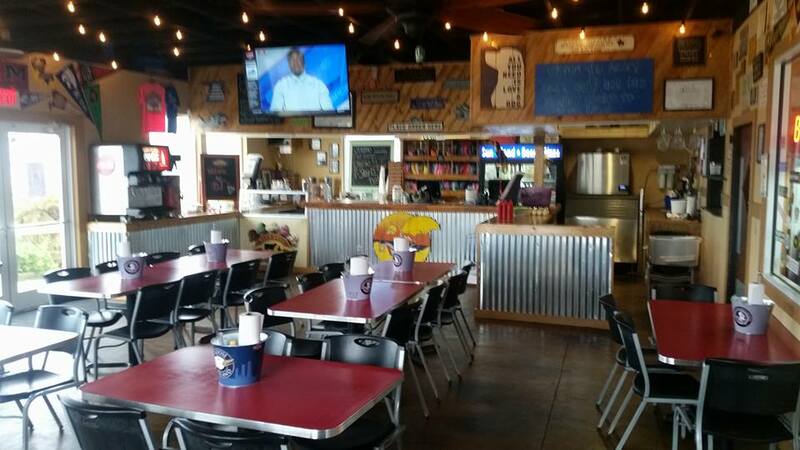 B.J.’s Pizza and Subs is the best family restaurant on St. George Island, Florida offering a wide selection of salads, appetizers, pizza & calzones, sandwiches & wraps and Blue Bell hand dipped ice cream. Local favorites include buffalo chips, which is our homemade pizza dough covered in a blanket of hot wing sauce and parmesan cheese, then baked until crispy and served with ranch dressing. Our selection of quality salads includes soft house-made breadsticks. Build your own pizza with over 16 possible toppings or try our specialty pizzas! A popular choice is the shrimp pesto pizza, piled high with mozzarella cheese, shrimp, sliced tomato, scallions and pesto on a homemade pizza crust. Need to quench your thirst? B.J.’s serves beer and wine and has seven draft beers on tap. Call for take out 850-927-2805.